The humidstat components are from Germany and Korea.It contains a mechanical sensor and micro switch rated 50,000 cycles. Accuracy is about ±3%RH and its operating range is from 30& - 100% RH. 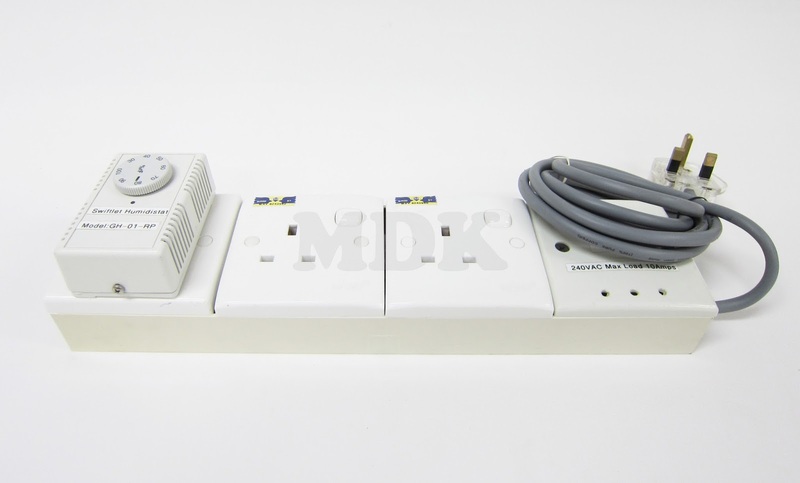 There are 2 power points provided for convenience and can support maximum total load of 13 amperes (13A). It can support up to 5 units of Taiwan Humidifier TL3600.